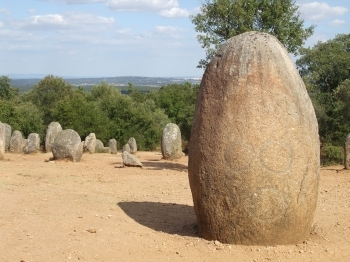 This Central Alentejo, very close from Évora, was the birthplace of so many civilizations. 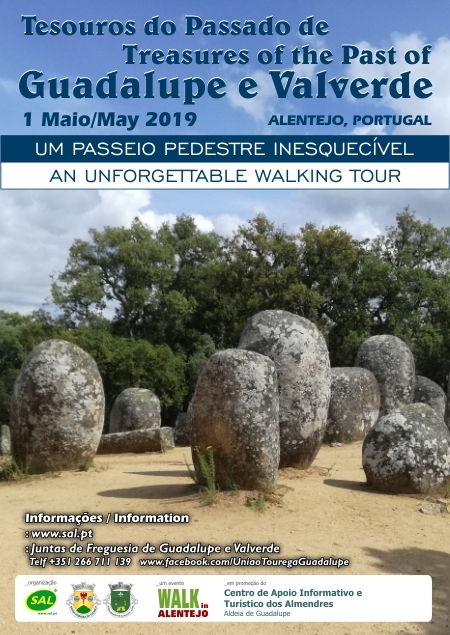 Here we find the vestiges of distant past that refer us to prehistory where we can find what is considered the oldest monument of humanity and the largest dolmen of Portugal, where our ancestors bade farewell to their dead in so different cults of our days. 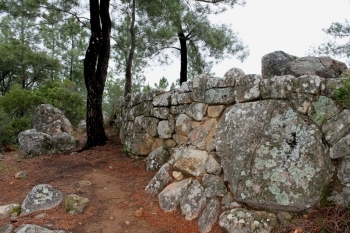 In the middle of the montado woods we find the perfect cross between the history and the myth where remains medieval castles from past heroes of the Christian reconquest from Évora to the Moors. 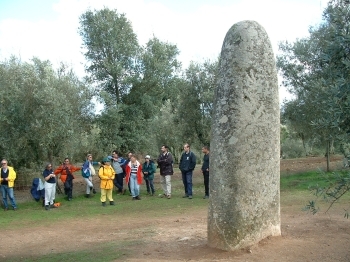 Place : Guadalupe e Valverde, Évora. Thematic: Heritage, Archeology, History, Nature, Rurality. 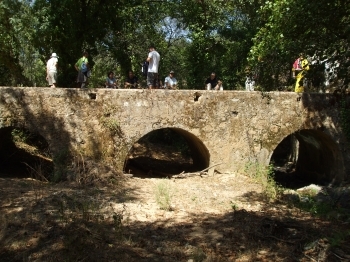 Subjects: Village of Guadalupe, Monte das Pedras Bridge, Anta Grande do Zambujeiro, Giraldo Castle (ruin), Montado Forest, Cromeleque dos Almendres, Menir dos Almendres. Booking: Not necessary advanced booking. Tickets and departure place. Local residents at Freguesia Guadalupe-Valverde: Advancede booking at Junta de Freguesia. Free ticket. Payment: In cash at departure place. 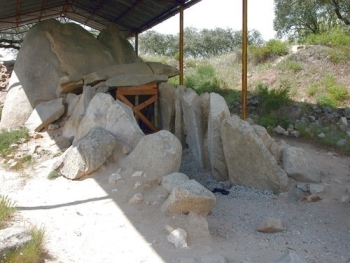 Meeting Point : Interpretative Center of Almendres (constrution) at Guadalupe, Cromeleque Street. Access: Coming by the A6, from Lisbon / Setúbal, take the first node of Évora. After the toll follow Évora direction and already on the 114 national road, turn on the deviation to the right marked Guadalupe. 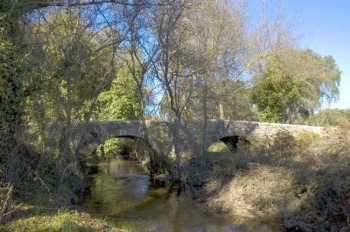 If you come from Évora, it is about 8km to the detour. • It is possible to make your supplies and have coffee at departure place.